HiFi Phantom: A Preview, Live at Rancho Tuesday Night! Every now and then, I’ll proclaim that a certain act is going to be a big deal. Sometimes I am right; other times, it doesn’t work out that way. But some of Ontario and Quebec’s most successful bands right now started out playing TWM shows for audiences thirsty for great new music. I will not be remotely surprised if HiFi Phantom soon ends up as another one of those bands. HiFi Phantom are a fuzzy, deceptively dancey indie-pop act, on the more experimental side. They are a four-piece and have connections to Toronto buzz band Young Flux (RIP), who themselves were an excellent local band on the rise just a few years ago. 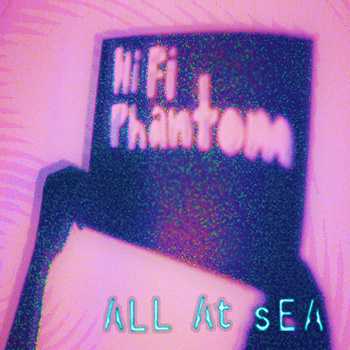 Their debut EP All At Sea is streaming on Bandcamp and shows a poised band with great range and loads of talent. Personally, I can’t get enough of it. It seems that the trend in Canadian indie these days is to either take an indie-pop sound and make it entirely dancey and electronic OR to take an indie-pop sound and mask it in all sorts of layers and experimentation until it’s barely recognizable as poppy. Don’t get me wrong — I like plenty of the bands that do both of those things and do it well. That said, it’s nice to hear a band that can straddle the middle area between both of those ideas,. and just play and write great catchy-yet-experimental pop music.